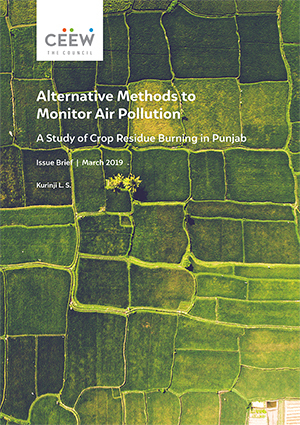 Given the lack of any significant ground monitoring of air pollution in rural Punjab (only four rural monitoring stations exist in the state, with no real-time data available), this study also seeks to highlight the use of alternatives like satellite data and low-cost sensors as an effective way to monitor air pollution in vast regions with little funds. 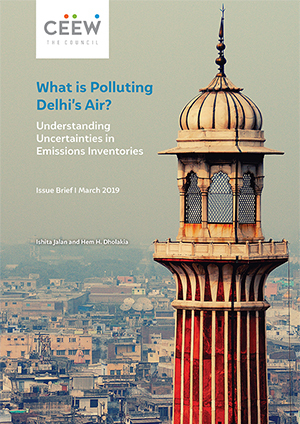 Further, it emphasises how well-established networks of air quality monitors are required to understand the quality of the ambient air in rural areas and make informed policy decisions. Despite government efforts to clamp down on crop-residue burning, the report finds little evidence that burning has reduced over time. Districts with higher incidents of crop residue burning (Ludhiana and Sangrur) demonstrated poorer air quality. The maximum median concentrations of PM2.5 observed during the peak burning season were 650.27 µg/m3 in Sangrur, 343.53 µg/m3 in Ludhiana, 153.78 µg/m3 in Hoshiarpur, and 96.37 µg/m3 in Pathankot. The air quality in some of these districts’ rivals that of the National Capital Region, despite them not being exposed to other major sources of air pollution. Districts with larger land-holding sizes have increased their intensity of burning. Burning is still largely driven by the cultivation of non-Basmati rice. Fire counts remained reasonably steady over the entire period. 2016 saw a 37 per cent increase in paddy residue burning compared to 2015 (the most significant anomaly). One of the reasons driving this is the large (15.5 per cent) increase in area under non-basmati rice cultivation in 2016. Paddy residue burning fell 33 per cent over 2017. The introduction of the Goods and Services Tax (GST), and the farmers’ choice to switch to basmati variety due to the rising exports demand could have been the drivers. In 2018, compared to 2017, fire counts dropped in all low-burn districts in Punjab except Pathankot. Fire counts increased in only three medium-burn districts: Amritsar, Moga, and Fazilka. All the districts under high-burn category showed an increase in fire counts. A high correlation (0.72) was found between number of fire counts and PM2.5 concentrations in high-burn district (Sangrur) and medium-burn districts (Ludhiana), but no such significant correlation was found in low-burn districts (Hoshiarpur and Pathankot). Improve the rural air quality monitoring network. There is a need to ground-truth satellite data with more on-ground monitoring to better understand the transition of incidents of crop residue over time. 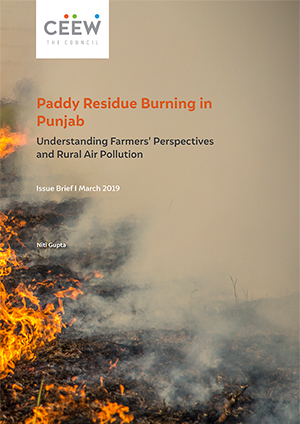 Build transparency and capacity for the use of satellite to generate timely insights by way of forecasts and estimates on the extent of crop residue burning. The rural air quality monitoring network needs to be augmented to help record, understand, and communicate both the persistent as well as episodic incidents of air pollution. 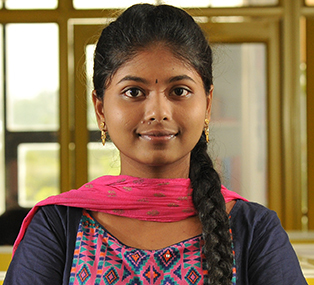 There is also an urgent need to focus on the use of satellite-based data, especially from Indian satellites, to augment gaps in ground monitoring.